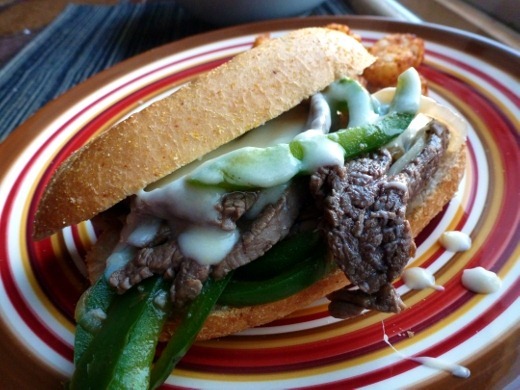 Sunday: Philly Cheesesteak Sandwiches, Take II! And here is what really happened! Sunday I did, in fact, again make Philly Cheesesteak Sandwiches, for the second weekend in a row. For my first attempt, I forgot to add salt while cooking, so the flavor was definitely lacking. This time I added the proper seasonings and the Phillies were even more amazing! 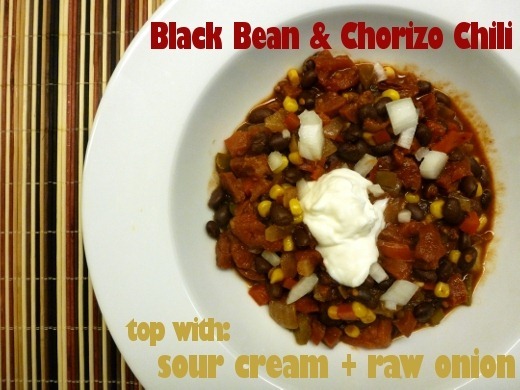 Monday, as promised, I made Black Bean Chorizo Chili and it was featured in here the blog. It turned out great! 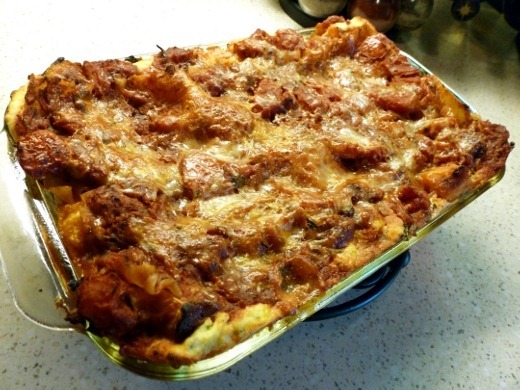 Tuesday we had the second Butternut Squash Lasagna, taken from the freezer. It turned out very well after baking (just a tad watery), not but quite as well as the first, unfrozen casserole. 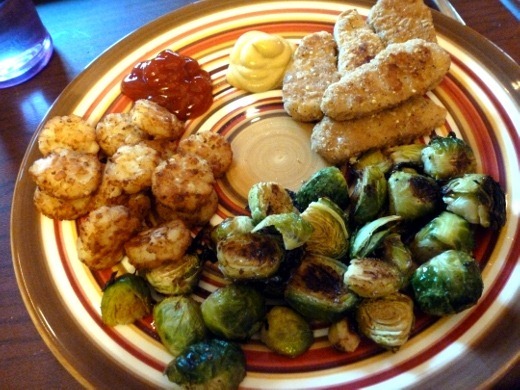 Thursday I roasted a sheet pan of Brussels sprouts (zOMG they are so good!! ), and rather than making soup, I instead tossed another sheet pan full of tater tots and [meatless] Crispy Tenders into the oven for a super simple dinner. Works for me! Be back for a weekend post! You were not messing around, those are some serious eats!